French publishing house Éditions Filma created the Les Vedettes du Cinéma series shortly after the First World War. There are circa 70 sepia postcards in the series. We focus in this post on the postcards with French 'vedettes', but the series also contains cards of Hollywood stars like William S. Hart and Mary Pickford. Filma also published another film star series, Les Vedettes de l'écran. On this series we will do a post next Saturday. Yvette Andreyor. 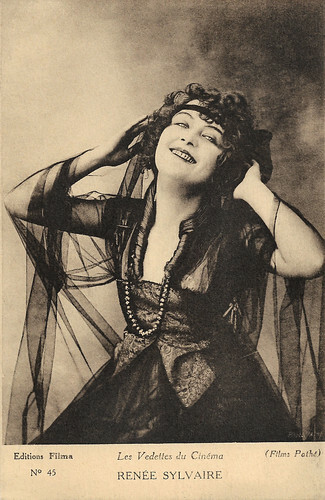 French postcard in the Les Vedettes du Cinéma series by Éditions Filma, no. 1. Photo: Agence Générale Cinématographique. Andrée Brabant. French postcard in the Les Vedettes du Cinéma series by Éditions Filma, no. 2. Photo: Agence Générale Cinématographique. 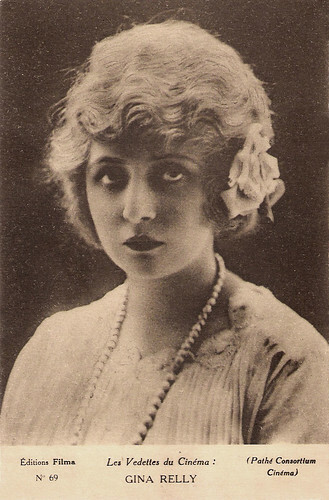 Andrée Brabant (1901-1989) was a charming French film actress whose career peaked in the silent era of French cinema. She was discovered by Abel Gance and also worked with such major directors as André Antoine, Germaine Dulac and Julien Duvivier. France Dhélia. French postcard in the Les Vedettes du Cinéma series by Éditions Filma, no. 4. Photo: Films Aubert. Huguette Duflos. 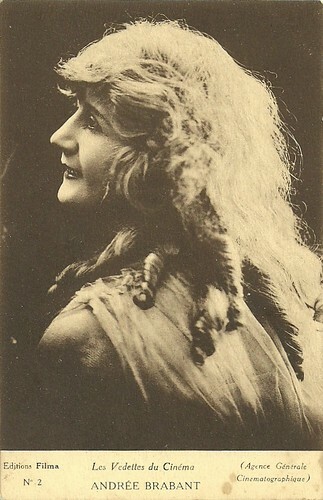 French postcard in the Les Vedettes du Cinéma series by Éditions Filma, no. 5. Photo: Films Eclipse. 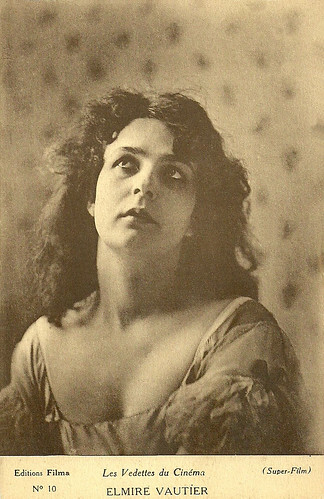 Elmire Vautier. French postcard in the Les Vedettes du Cinéma series by Éditions Filma, no. 5. 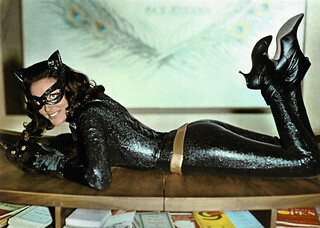 Photo: Super-Film. Stacia Napierkowska. French postcard in the Les Vedettes du Cinéma series by Éditions Filma, no. 14. Photo: Films Eclipse. 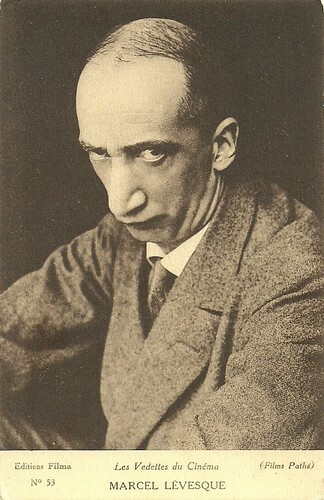 Georges Lannes. 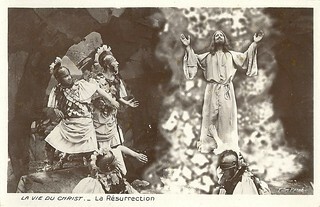 French postcard in the Les Vedettes du Cinéma series by Éditions Filma, no. 22. Photo: Films Eclipse. Georges Lannes (1895–1983) was a French film actor who appeared in more than a hundred films during his career (1920-1961). 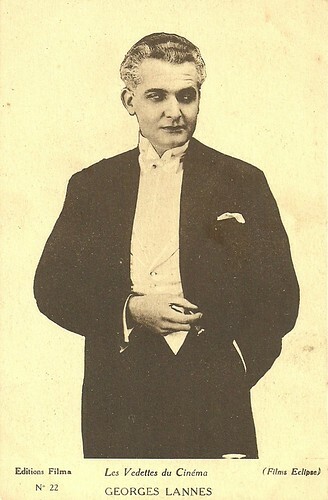 Lannes peaked with the serial Les Mystères de Paris (Charles Burguet, 1922) in which he had the lead as prince Rodolphe. Charles Le Bargy. 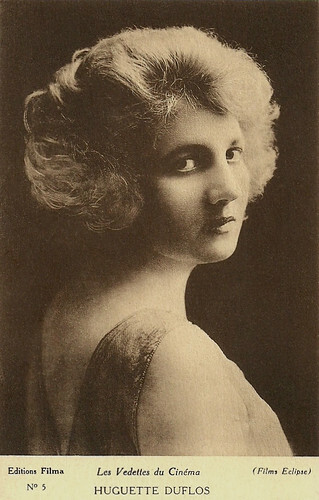 French postcard in the Les Vedettes du Cinéma series by Éditions Filma, no. 25. Photo: Films Mercanton. Gabriel Signoret. French postcard in the Les Vedettes du Cinéma series by Éditions Filma, no. 25. Photo: Agence Générale Cinématographique. 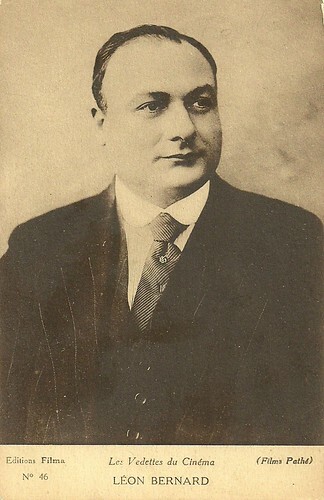 Gabriel Signoret. French postcard in the Les Vedettes du Cinéma series by Éditions Filma, no. 26. Photo: Agence Générale Cinématographique. Jean Toulout. 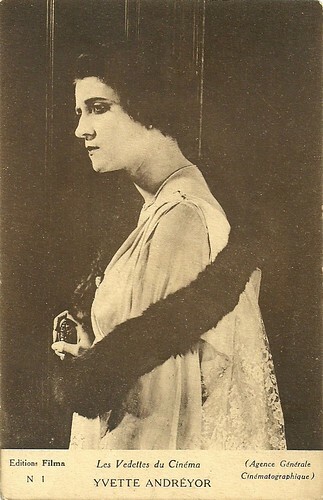 French postcard in the Les Vedettes du Cinéma series by Éditions Filma, no. 28. Photo: Agence Générale Cinématographique. 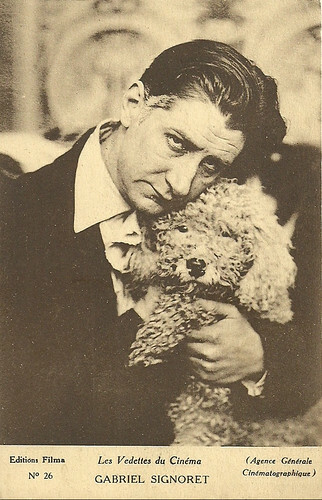 Jean Toulout (1887-1962) was a French stage and screen actor, director and scripwriter. 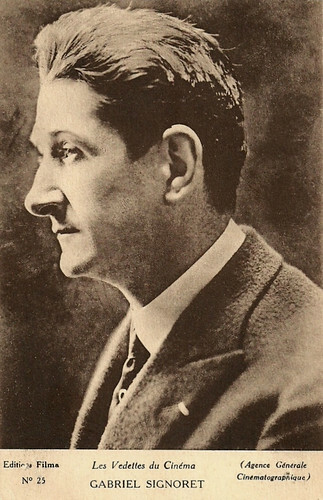 He was married to the actress Yvette Andreyor between 1917 and 1926. 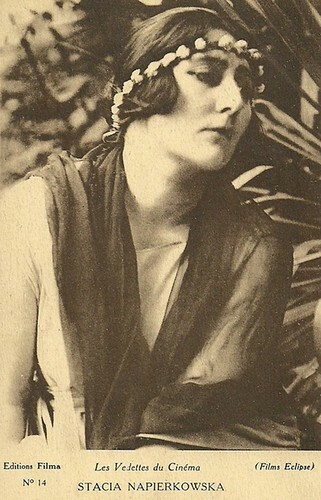 Renée Sylvaire. 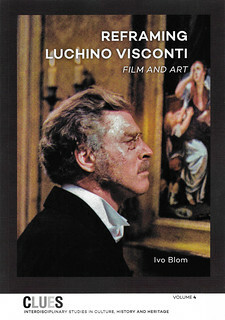 French postcard in the Les Vedettes du Cinéma series by Éditions Filma, no. 45. Photo: Films Pathé. 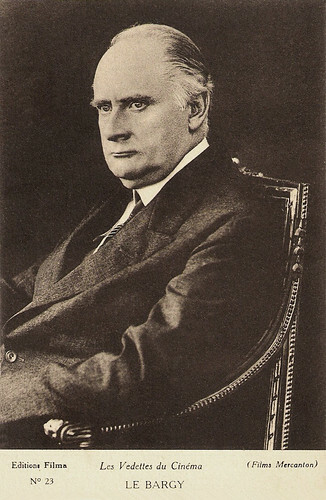 Léon Bernard. French postcard in the Les Vedettes du Cinéma series by Éditions Filma, no. 46. Photo: Films Pathé. 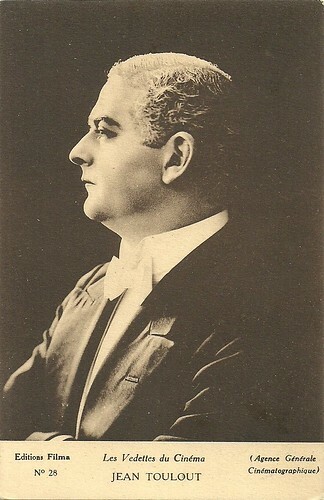 Marcel Lévesque. French postcard in the Les Vedettes du Cinéma series by Éditions Filma, no. 53. Photo: Films Pathé. Gina Relly. 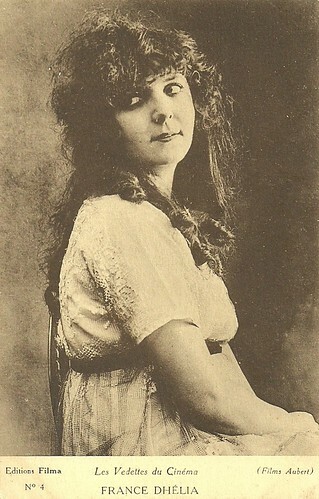 French postcard in the Les Vedettes du Cinéma series by Éditions Filma, no. 69. Photo: Pathé Consortium Cinema.